Mountains are an exciting natural environment for the implementation of a number of sports and physical activities. Mountains are also an intriguing laboratory for the better understanding of the responses to physical effort in order to address the correct approach to fitness increase. Sport Sciences, Physiology, Biomechanics, Medicine, Health Sciences and Education are the main scientific fields which will be considered in an active life perspective. 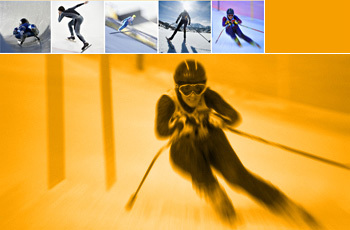 Mountain, Sport, & Health aims at offering an updated panorama, from laboratory experimental studies to the application on day to day practice, on different topics related to mountain sports activities and their impact on human performance and health. It is a great satisfaction for CeBiSM to announce the third edition of this congress that will turn out to be a new appointment for scientists, trainers, mountain experts, students for sharing knowledge and experiences on the sport and mountain studies.